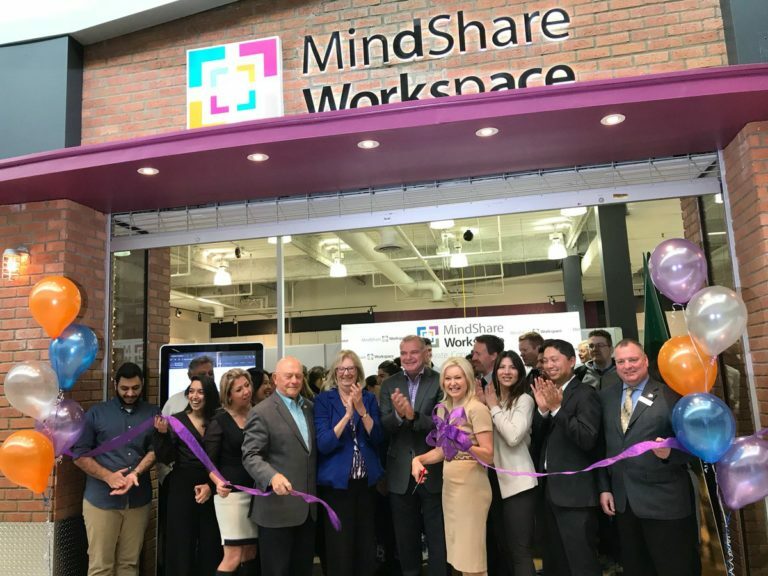 Yesterday I had the opportunity to join the team from MindShare Workspace on their official opening at Erin Mills Town Centre. This new location marks the first time a Canadian mall has become home to a co-working space. It’s another important first taking place right here in Mississauga. This new space – right at Erin Mills Town Centre – will gives ambitious entrepreneurs and business owners a new space to collaborate to develop initiatives and launch the next big idea into the marketplace. MindShare Workspace is an important example of our city-building efforts and our ongoing work to build a complete city. Council and staff are committed to ensuring we create the right environment for businesses to grow, compete and succeed. The City of Mississauga launched The Reimagining the Mall Project – an initiative that is guiding our long-term evolution of indoor shopping malls, like The Erin Mills Town Centre. The study will help to ensure that future intensification in areas – like the Erin Mills Town Centre – are done in a way that fosters healthy, mixed-use communities. Mississauga is growing and our communities are evolving. To ensure the healthy development of our City, we are creating policies to direct potential redevelopment and intensification at strategic areas. The Reimagining the Mall project will guide the long-term evolution of six areas anchored by the following indoor shopping malls: Meadowvale Town Centre, Erin Mills Town Centre, South Common Centre, Sheridan Centre, Rockwood Mall, and Westwood Square. Put simply, we are building neighbourhoods where people can live, work, play and raise a family here in Mississauga. The purpose of the project is to make sure that land use policy is proactively in place should a landowner choose to redevelop in the future.